Her greatest talent remains her ability to transform minute-long songs into experiences that resemble hours of intimate and impressionistic conversation. While her parent's names may carry some hefty weight in Hollywood, Greta Kline AKA Frankie Cosmos set off to make her own way in the music industry. The daughter of Kevin Kline and Phoebe Cates, the singer-songwriter embraced the DIY ethics of the early 2000s anti-folk scene and began self-releasing short, richly melodic, lo-fi tracks laden with lyrical poetry, soft vocal melodies and subdued rhythm guitar. Don't miss the indie pop pioneer as she hits the road to celebrate the 2018 release of her third album Vessel. Marking her first offering with new label Sub Pop, Vessel transforms Kline's quiet bedroom pop into a fully realised, full band affair. Blending biting, often humorous lyrics with an almost adolescent vocal style, the songstress creates unique teen angst anthems that make her instantly relatable. 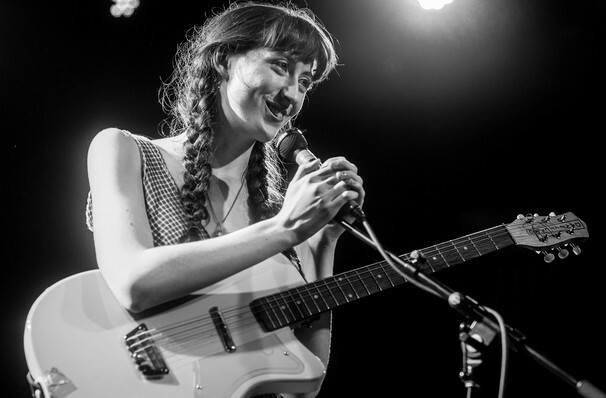 Known for her quirky on-stage antics and unexpected choreography, Frankie Cosmos is simply mesmerising to watch. Sound good to you? 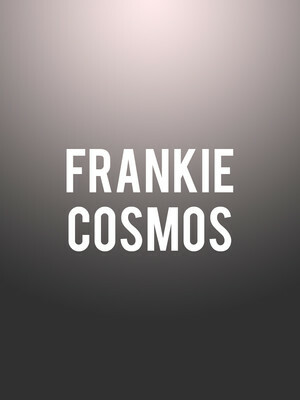 Share this page on social media and let your friends know about Frankie Cosmos at Black Cat. Please note: The term Black Cat and/or Frankie Cosmos as well as all associated graphics, logos, and/or other trademarks, tradenames or copyrights are the property of the Black Cat and/or Frankie Cosmos and are used herein for factual descriptive purposes only. We are in no way associated with or authorized by the Black Cat and/or Frankie Cosmos and neither that entity nor any of its affiliates have licensed or endorsed us to sell tickets, goods and or services in conjunction with their events.